If the blender deal we told you about earlier today didn’t suit your taste (or taste buds), perhaps this discount on a mixer will. Best Buy is selling the KitchenAid Classic Stand Mixer for just $189.99 (regularly $249.99). That’s a savings of $60. 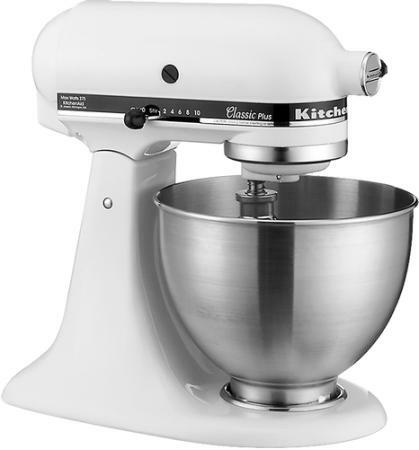 This mixer features a 4.5-quart mixing bowl, 275-watt motor and three beater attachments. The device has 10 speeds, which can be used for blending, mixing, kneading and whisking. If the price wasn’t convincing enough, you’ll also get free shipping on this order, since the retailer offers shipping at no cost on orders of $35 and up. Buy this mixer at Best Buy.